In a historic moment this week, European Parliamentarians voted in overwhelming numbers to back a report rebuking Hungarian Prime Minister Viktor Orban for his alleged persistent breach of European values. Over the years Orban’s heavy-handed immigration policy, authoritarian tendencies, and populist rhetoric have lead to increasing friction between the right-wing Hungarian leader and the institutions of the European Union. This tense standoff was a reflection of the larger fight the European Union has on its hands; that of extreme nationalist parties taking advantage of the disenfranchised, blaming economic woes on the migrant populations of their respective countries, with flagrant disregard for the dangerous consequences of exacerbating such passions. The vote taken last Wednesday firmly placed the European Parliament on one side of the debate, with more than two thirds of the votes being cast in support of the report by Dutch Green MEP Judith Sargentini. 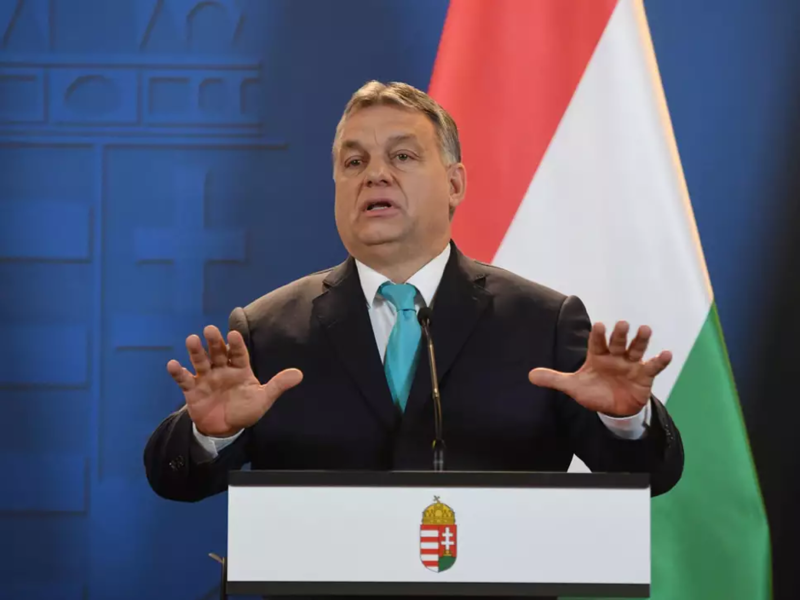 The report called out Hungary for its disregard of Union values and activated the procedure envisioned under Article 7 of the Treaty on European Union (TEU), the culmination of which would see Hungary stripped of its vote in the European Council. Though the vote is mostly symbolic in nature, as such action would require unanimity in the European Council, it is nevertheless an important step towards establishing the direction the Union will be taking in the coming years. 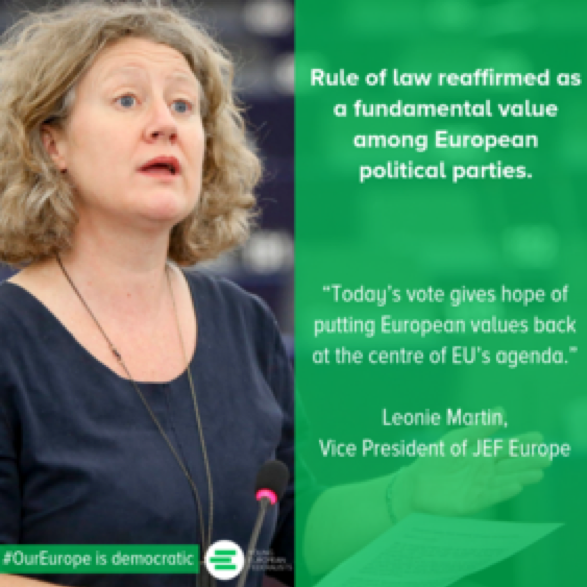 In a statement issued by JEF Europe, Vice-President Leonie Martin said, “Today’s vote gives hope of putting European values back at the centre of EU’s agenda”- a sentiment JEF Malta wholeheartedly supports. The result of the Brexit referendum two years ago has left the EU in a state of quasi-paralysis, uncertain of its identity. The growth of Eurosceptic parties has left some questioning the future of the EU, putting the brakes on further integration as many try to reflect on the way forward. We believe that the key to the future of Europe lies in its past. The greatest lie told by eurosceptics is that the European Project was an economic endeavour that turned political. On the contrary, its very genesis lay in a political endeavour implemented through economic means. The entire scope of the European Coal and Steel Community was not free trade, but rather a way to safeguard against the rise of populists that used the dog-whistles of xenophobia to rise to power, and tear Europe asunder as tribal mentalities played out. The EU’s precursor wasn’t founded to facilitate economic prosperity, but as the antidote to the disease of rabid nationalism. So the EU should not sit idly by and betray its founding principles. Nationalism shouldn’t intimidate us into surrendering this dream of a united Europe, but rather jolt us into action. This is the Union’s greatest test, its raison d’etre and moment of truth. This is what the EU stands for, and JEF Malta stands with you.